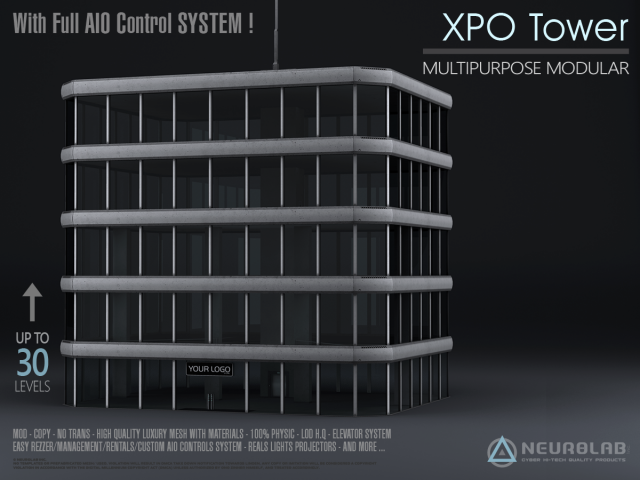 NEUROLAB is proud to present you The NEW GENERATION of building! ALL IN ONE!! 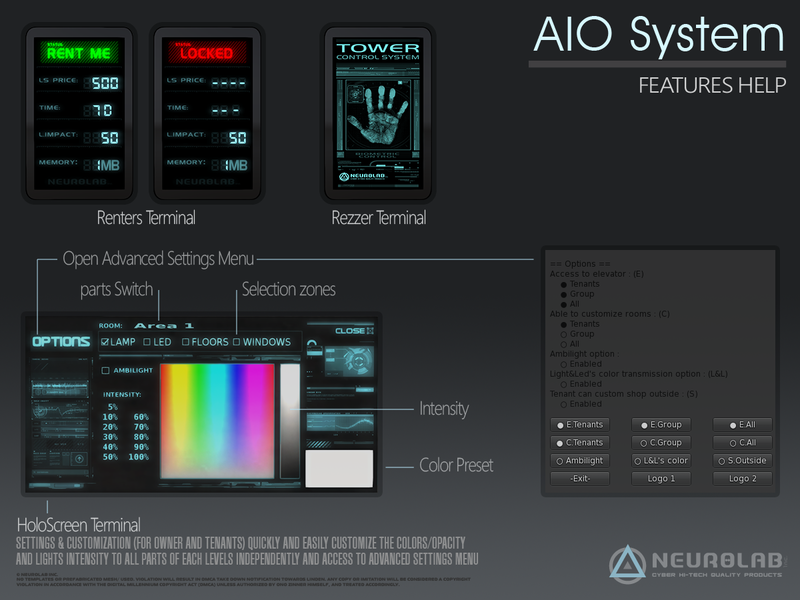 4.1 – Easy Install, Rez the base of the tower. The top and the elevator will be rezed automatically. ◦ In the XPO, You can Rent each Office floors separatly. 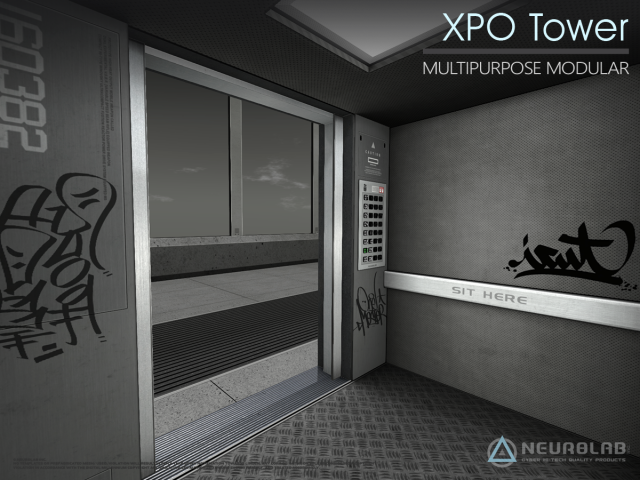 ◦ The Holoscreen on tower Base can control this Floor and also all the levels and Synchronize/customize all this tower in one time! – Enter the number of gallery levels from 0 to 30 and for Empty office. Voila! 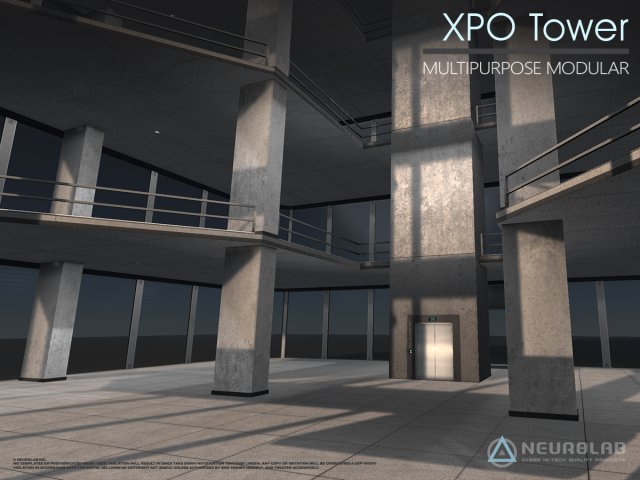 In the XPO, You can Rent each Office floors separatly. -Note: all Gallery floors added and base of tower is the same tenant! 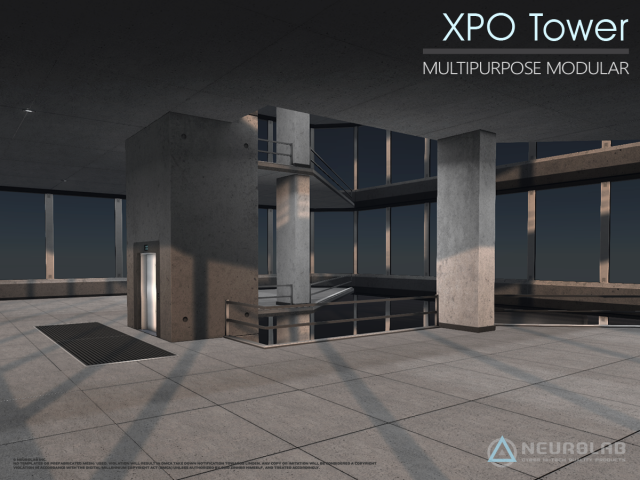 – The scan range for return object feature in the gallery is limited to 4 levels (base + 3 gallery levels). If you use more than 3 gallery levels you will have to check prims count manually in those extra levels. Empty levels has each their own scan. Revision 1.11 : Small improvements+fixs.